for $525,000 with 3 bedrooms and 2 full baths. This 2,400 square foot home was built in 1870 on a lot size of 14.6000 Acre(s). If walls could talk, what a story to tell. 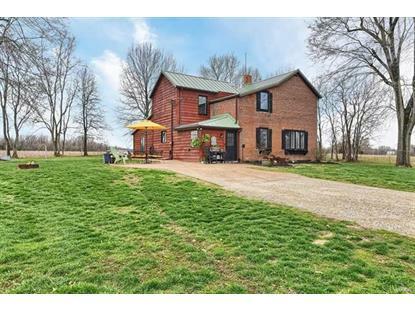 Retreat into the countryside to this 3bed 2bath 160 year old updated farmhouse. Follow the private drive to view the stunning combination of the original brick building structure paired w/ natural cedar siding addition. The Interior is a merge of the 2 eras into a breathtaking setting with modern amenities of today. Enter the home to see the impressive great room with windows everywhere up to the 20ft vaulted ceilings. Original brick wall of the farmhouse preserved as accent wall. The kitchen offers custom cabinetry & pinewood floors. Upstairs Master has his/her closets w/plenty of storage & addit'l bedroom & full bath. Downstairs has possible master and full bath. 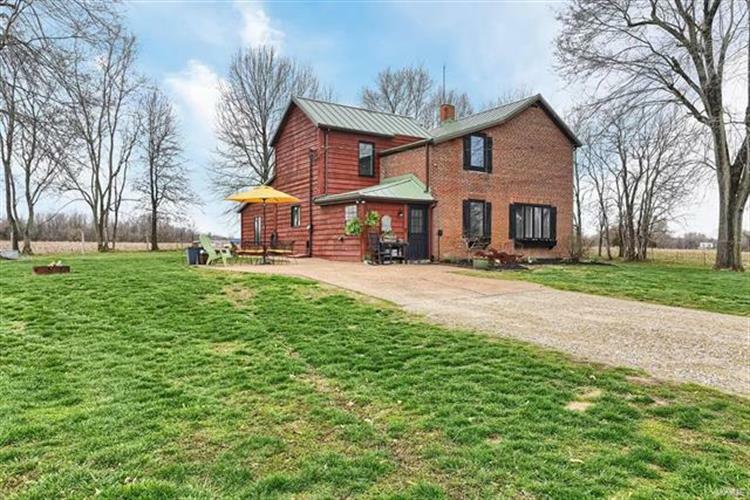 Barn with 4 horse stalls and room for equipment or vehicle parking.2 ac of this property is the homes' yard, 8+/- ac of pasture cross-fenced, the remaining acres are naturally wooded. This home is secluded and a perfect retreat to enjoy your horses, atvs, and plenty of wildlife.